Dr Ben Halkon is an experimental dynamicist specialising in the development of non-contact measurements techniques and technologies for the determination of structural vibration characteristics. Having recently joined UTS in the School of Mechanical and Mechatronic Engineering, Ben previously held a permanent position, ultimately as Senior Lecturer, within the Wolfson School: Mechanical, Electrical and Manufacturing Engineering at Loughborough University, U.K. from Oct 2009 to Dec 2016. During this period, Ben secured significant levels of funding (on the order of £1m over the the most recent 5yrs) from a combination of funders (including e.g. Ford Motor Company UK, Nike, Inc., HEAD Sport, the International Cricket Council, the England and Wales Cricket Board and the Great Britain Rowing Team) including, to a large extent, the sports related industry. 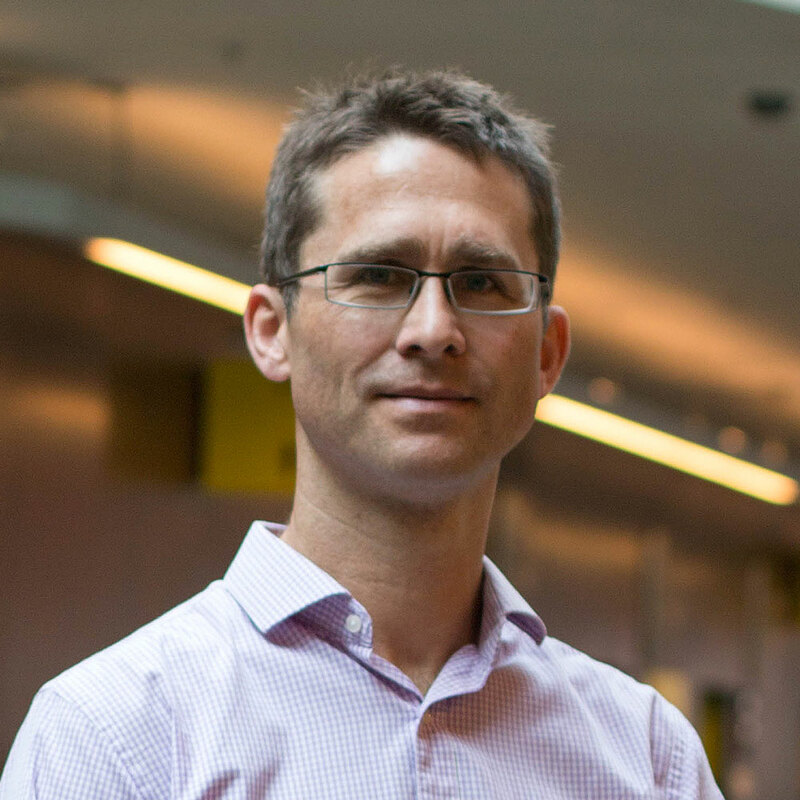 Ben has supervised post-doctoral researchers, three PhD students to completion and many UG/PG student research projects, often industry supported/conceived and/or in support of his funded research. Ben has authored approximately 40 peer-reviewed articles and has contributed to policy change including the topical recent revision of BS 7928:2013 - Specification for head protectors for cricketers. Furthermore, Ben has held a number of positions in industry both between completing his PhD and re-joining Loughborough University and prior to joining UTS upon arrival in Australia in early 2017. Ben is an Engineering Council accredited chartered mechanical engineer and a Fellow of the Institution of Mechanical Engineers. © 2017 Elsevier Ltd Laser Doppler vibrometers are now well-established as an effective non-contact alternative to traditional contacting transducers. Wide-ranging applications include those where beam steering optics are required to reach locations that are difficult to access but no attention has yet been given to measurement sensitivity to the vibration of those optics. In this paper, a thorough mathematical treatment of this sensitivity to steering optic vibration and its correction is set out. A very practical scheme requiring a single correction measurement, from the back-surface of the mirror at the incidence point and aligned with the mirror normal, delivers an error reduction typically in excess of 30 dB. After validation in the laboratory, the scheme is then applied to a genuinely challenging measurement scenario on a single cylinder racing motorcycle. Correction is theoretically perfect for translational mirror vibrations but angular mirror vibrations require an adapted scheme using a triplet of accelerometers arranged around a circular path on the mirror back-surface and this is set out theoretically. © 2016 Elsevier Ltd Laser Doppler vibrometers (LDVs) are now well-established as an effective non-contact alternative to traditional contacting transducers. Despite 30 years of successful applications, however, very little attention has been given to sensitivity to vibration of the instrument itself. In this paper, the sensitivity to instrument vibration is confirmed before development theoretically and experimentally of a practical scheme to enable correction of measurements for arbitrary instrument vibration. The scheme requires a pair of correction sensors with appropriate orientation and relative location, while using frequency domain processing to accommodate inter-channel time delay and signal integrations. Error reductions in excess of 30 dB are delivered in laboratory tests with simultaneous instrument and target vibration over a broad frequency range. Ultimately, application to measurement on a vehicle simulator experiencing high levels of vibration demonstrates the practical nature of the correction technique and its robustness in a challenging measurement environment. © 2017. Laser Doppler vibrometers (LDVs) are now well-established as an effective non-contact alternative to traditional contacting transducers. Despite 30 years of successful applications, however, very little attention has been given to sensitivity to vibration of the instrument itself. In this paper, the sensitivity to instrument vibration is confirmed before development theoretically and experimentally of a practical scheme to enable correction of measurements for arbitrary instrument vibration. The scheme requires a pair of correction sensors with appropriate orientation and relative location, while using frequency domain processing to accommodate inter-channel time delay and signal integrations. Error reductions in excess of 30. dB are delivered in laboratory tests with simultaneous instrument and target vibration over a broad frequency range. Ultimately, application to measurement on a vehicle simulator experiencing high levels of vibration demonstrates the practical nature of the correction technique and its robustness in a challenging measurement environment. © IMechE 2015. Synthetic impact surrogates are widely used in the sporting goods industry in the evaluation of personal protective equipment. Existing surrogates, exemplified by those used in safety standards, have many shortcomings, primarily relating to their mass, stiffness, geometries and levels of constraint which limit their biofidelity and subsequent usefulness in personal protective equipment evaluations. In sports, absence from competition is a primary severity measure for injuries; consequently, blunt trauma injuries, such as contusions and lacerations, become pertinent and serious concerns. It is important, therefore, that synthetic surrogates provide an adequate description of these soft tissues to effectively evaluate injury risk. A novel, multi-material human thigh surrogate has been presented with consideration to the tissue structures, geometries and simulant materials used. This study presents the detailed development stages undertaken to fabricate a multi-material synthetic soft tissue surrogate with skin, subcutaneous adipose and muscle tissue components. The resultant surrogate demonstrates the successful use of sequential moulding techniques to construct a full-scale anatomical human impact surrogate which can be used in personal protective equipment testing. Rapid prototyping, or additive manufacturing, is becoming more useful in creating functional prototypes, especially when customisation is required. This paper explores the use of three-dimensional (3D) printing in designing a customised ankle brace structure for anterior cruciate ligament (ACL) injury risk reduction. A new process is proposed to obtain ankle flexion angles and the corresponding foot surface strain associated with high ACL injury risks through motion analysis. This data is used in the design of the customised ankle brace structure and printed using rapid prototyping. One customised ankle brace structure was printed and tested to demonstrate this proposed framework. The ankle flexion range of motion (ROM) was significantly reduced in the high-risk ankle positions with the ankle brace structure. Rapid prototyping could thus be used to design customised ankle brace structures and this is useful in reducing fabrication time and complexity of customisation. © 2013 Taylor & Francis. Laser Doppler vibrometry is now a well established technique enabling noncontact vibration measurements in the most challenging of environments. Rotor vibration measurements are often highlighted as a major application of laser vibrometers due to their noncontact operation and inherent immunity to shaft runout. In such measurements, resolution of the individual axial and torsional vibration components is possible via particular arrangement of the laser beam(s). Resolution of the radial or pitch/yaw vibration components, however, can only be achieved by essential post-processing of the data from simultaneous orthogonal measurements. This paper describes the principle and rigorous examination of a novel, dedicated resolution algorithm enabling, for the first time, real-time post-processing of the outputs from standard commercial instruments. The system performed well, even in the presence of noise and other typical measurement errors, and was implemented successfully in an engine vibration study. Copyright © 2006 by ASME. This paper builds on a previous study in which the theoretical description of the velocity sensed by a single laser beam incident in an arbitrary direction on a rotating target undergoing arbitrary vibration was extended to continuous scanning laser vibrometer measurements on targets with flexible cross sections. The velocity sensitivity model was written in terms of either laser beam orientation angles or deflection mirror scan angles, with the latter found to be the most useful for continuous scanning applications. The model enables the prediction of the laser vibrometer output for any measurement configuration on any target. The experimental validation presented in this paper confirms that additional components appear in rotating target measurements that are associated with both the scanning system configuration and any misalignment between the scanning system and target rotation axes. This paper will show how use of the velocity sensitivity model enables the vibration engineer to make laser Doppler vibrometry measurements with confidence. experimentally and described in detail for varying input control parameters. Ultimately, suitability of the system for the excitation of thin-walled structures is explored, for both a 3D-printed micro-satellite panel and a natural bee honeycomb, with promising results when compared to that of an impact hammer. © 2016 The Authors. Published by Elsevier Ltd. The current British Standard for head protectors for cricketers specifies a projectile test to ensure that a helmet can prevent the ball penetrating the peak-grille gap and deformation of the grille onto the face. For practical reasons, it is specified that the headform is mounted onto a grounded frame. This study aims to determine whether this "Fixed" mounting technique influences the response of the headform relative to a theoretically preferable "Free" suspension. A pressurised air cannon was used to project a "BOLA"TM ball at three nominal speeds (22, 25 and 28 m/s) and at three target impact locations (136 (Top), 108 (Middle) and 80 (Bottom) mm from the base). High speed video was used to identify the contact duration and accelerometer data were used to assess the peak resultant headform acceleration and velocity during this period. Generally, good agreement between the two scenarios was found in regard to peak resultant headform acceleration, particularly at the 25 and 28 m/s impact speeds. In terms of headform velocity, the two scenarios showed greater variation when the full contact duration was considered, with root mean square deviations ranging from 1.77-5.6 in all testing conditions. However, some portions of the impact were considerably more consistent than others. These initial results indicate that the result of the penetration test, as specified in BS 7928:2013, would be independent of the suspension technique particularly given the convergence of results at the specified standard velocity (28 m/s). Future work should look to identify the loading and unloading phases of an impact, and use this to compare headform response. Thus allowing a more in-depth investigation of headform mounting performance and provide more clarity on the use of the Fixed technique in cricket standard tests. © Springer International Publishing Switzerland 2016. Detecting events in table tennis using monocular video sequences for match-play officiating is challenging. Here a low-cost monocular video installation generates image sequences and, using the Horn-Schunck Optical Flow algorithm, ball detection and location processing captures sudden changes in the ball's motion. It is demonstrated that each abrupt change corresponds to a distinct event pattern described by its combined velocity, acceleration and bearing. Component motion threshold values are determined from the analysis of a range of table tennis event video sequences. The novel event classifier reviews change in motion data against these thresholds, for use in a rules based officiating decision support system. Experimental results using this method demonstrate an event classification success rate of 95.9%. There has been little research focused on the mechanics of high-velocity, low-mass projectile impacts to the head. The little work that has been conducted has focused solely on linear acceleration, despite the evidence linking rotational acceleration to the development of brain injury. The aim of this study was to explore the presence of rotational acceleration in projectile impacts and investigate the influence of impact location. A pressurised air cannon was used to project a BOLATM ball at 22 and 28 m.s-1 towards a BSEN 960:2006 headform positioned to elicit impacts at frontal and lateral locations. High-speed video and accelerometer measurements were used to investigate differences in contact duration, ball deformation and average linear and rotational acceleration during loading. Contact duration was found to be independent of impact location or speed. Greater ball deformation was observed in frontal impacts, despite no differences in time to maximum deformation. Average linear acceleration was observed to be greater during the loading phase in the frontal impacts then in the lateral impacts, potentially due to differences in surface geometry, resulting in differences in ball deformation. Average rotational acceleration was greater in lateral impacts potentially due to differences in the moments of inertia of the headform. Rotational acceleration was found to be higher than previously published injury thresholds for concussion and therefore a potentially important factor in projectile impacts, warranting further research. This paper presents the novel application of a technique for measuring flow around the hand during a simulated swim stroke with a view to enable a better understanding of propulsion generation in swimming. The technique relies on the instantaneous, non-intrusive, volumetric measurement of 3D velocity fields using a commercially available optical measurement system. A hand and forearm model was towed through a water tank to replicate the pull phase with fluid flow data being captured at regular intervals in a fixed volume through which the model moved. The measurement system included a single body, three-sensor probe for capturing pairs of images which were then processed to determine particle velocities and to characterise the flow. The results were used to investigate changes in mean velocity for six experimental cases based on three different angles of attack and two towing speeds. The results showed that the V3V system could be used to capture velocity data around the hand and for a 45° increase in angle of attack, the velocity magnitude of the flow reduced by half, indicating the presence of lift forces. © 2013 The Authors. The study presented in this paper was conducted in support of the development of a proposed revision to a cricket helmet certification test standard. Helmets were impacted between the peak and faceguard by 'projecting' balls at them at velocities up to 80 mph. The velocity at which the balls penetrated between the peak and the faceguard (or grille) for the various permissible peak-grille gap settings for each helmet was recorded. The study progressed to compare these penetration velocities against the equivalent found when 'game-aligned' alternate (drop) test methodologies were used. The results demonstrate that the penetration velocities are considerably lower than those that might be observed in play. As peak-grille gap settings were reduced, penetration velocities increased as expected but, significantly, balls were able to penetrate despite gap settings, on occasion being considerably smaller than the ball diameter. The penetration velocity was also found, as expected, to vary with the stiffness of the ball with increased ball stiffness leading to reduced penetration velocities. When comparing penetration velocities against those found using the alternate methodologies, significant differences were found, suggesting that such methodologies cannot be used to reliably evaluate the performance of helmets to ball impacts occurring in this particular region. Recent work set out a comprehensive analysis of the velocity sensed by a single laser Doppler vibrometer beam incident in an arbitrary direction on a target that is of substantial interest in engineering - a rotating, shaft requiring three translational and three rotational co-ordinates to describe its vibratory motion fully. Six separate "vibration sets", each a combination of motion parameters, appeared in the full expression for vibration velocity sensitivity and the difficulties associated with resolving individual vibration components within a complex motion were highlighted. The velocity sensitivity model can incorporate time dependent beam orientation and this is described in this paper with reference to scanning laser Doppler vibrometry. Continuously scanning strategies, in which the laser beam orientation is a continuous function of time, have recently received considerable attention, including a tracking profile in which the probe laser beam remains fixed on a single point on a target such as a rotating disc. Typically, one beam deflection mirror is driven using a cosine function whilst the other is driven with a sine function, resulting in a slightly elliptical beam trajectory. This and other more significant issues such as the effects of misalignment are easily accommodated in the velocity sensitivity model and a thorough analysis of their influence on the measured vibration signal is reported in this paper. Recent work set out a comprehensive analysis of the velocity sensed by a single laser vibrometer beam incident in an arbitrary direction on a target that is of substantial interest in engineering - a rotating shaft requiring three translational and three rotational co-ordinates to describe its vibratory motion fully. Six separate "vibration sets", each a combination of motion parameters, appeared in the full expression for vibration velocity sensitivity and the difficulties associated with resolving individual vibration components within a complex motion were highlighted. One specific way in which the model has been extended is the subject of this paper. The scanning laser Doppler vibrometer has become an increasingly popular instrument especially for experimental modal analysis. Continuously scanning strategies, in which the laser beam orientation is a continuous function of time, have received considerable attention. Researchers have reported use of several different types of scan profile including a tracking profile in which the probe laser beam remains fixed on a single point on a target such as a rotating disc. When the velocity sensitivity model was originally reported, it was stated that it could be used with such applications and this is shown explicitly, for the first time, in this paper.